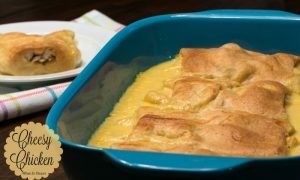 This Cheesy Chicken Crescent Roll Recipe is quick and easy to make. It has 5 ingredients and is ready in under 30 minutes. Delicious!!! I now TRIPLE the recipe to feed my hungry teenagers. I hope your family enjoys this as much as mine! This Cheesy Chicken Crescent Roll Recipe is a family favorite. In fact, the older my boys get, the more of these I have to make at each meal! Now that they’re teenagers, they can eat more than I ever imagined. 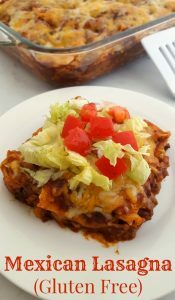 We rarely have leftovers, because even with a filling recipe like this, it sometimes seems impossible to fill these teenagers up! One of these, with a couple of vegetables on the side, is enough for Nick and me for dinner. If we want one for lunch the next day, I put it in a container BEFORE I serve the kids. I currently triple the recipe, so the boys can each eat 3 of these with vegetables, at dinner. 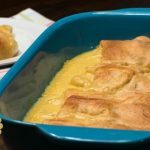 This recipe makes FOUR Cheesy Chicken Crescent Rolls, to serve FOUR people, but can easily be adjusted to serve more. I currently triple it to feed my hungry teenagers - I shop for ingredients at a wholesale club to make it more affordable. • Spray 9x13 pan with Pam. • Lay out crescent rolls in 4 sections on waxed paper. (Keep the triangles together to form a rectangle). Use a small rolling pin if needed to close the seam. • Put shredded chicken and cheese on rolls and roll them up (like a short burrito). 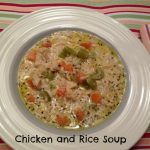 • Mix cream of chicken soup and milk heat on the stovetop in a small pan until fairly smooth. (add any leftover chicken or cheese to this). • Pour between crescent rolls in pan. (Be careful to pour around, not on top or they will be mushy!). 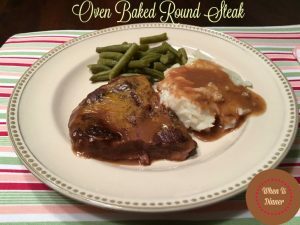 • Bake in the oven for 15-20 minutes or until crescent rolls are cooked through and brown on top. Like this Cheesy Chicken Crescent Roll Recipe? Be sure to PIN IT and Follow me on Pinterest! Karen Puleski – Kdkaren. 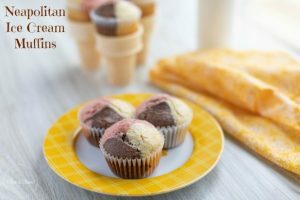 Subscribe via Email, RSS Feed, or Follow me on Bloglovin so you don’t miss out on any delicious recipes! Karen, this is great. We love chickeb, cheese and cream soups. I’m definitely going to make this. Thanks for sharing. This looks like a nice warm supper after a long hard day! Thanks for the recipe!! 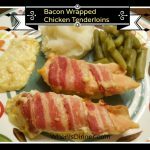 I love chicken, cheese and crescent rolls, so you know that this recipe is a hit for me. 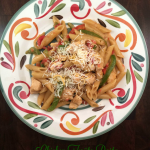 Thanks for sharing another family friendly recipe! 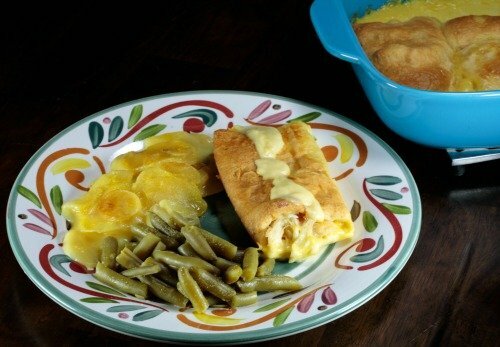 I think that this is a great recipe for anyone who like crescent rolls , chicken and cheese! Cheesy Peasy!!! Thanks for sharing! 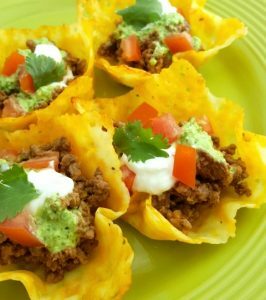 Great recipe for kids to help prepare! 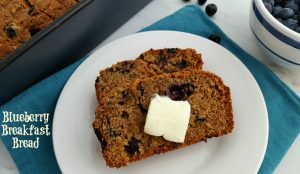 This recipe looks really good and easy to make! This really looks good!! I could even fix this for my great grandchildren and they would love it. As long as they see the cheese they will dig into it!!! I’m glad you specified to pour the sauce AROUND the roll-ups. I was worried about mooshiness. This recipe sounds delicious, but I would have to make my own “Crescent Roll” dough because my kids complain about the strange film left in their mouths from the store-bought versions. Still sounds worth it! I will be adding this to my menu for next week! This is a great idea. I think I might make this for dinner! This looks like a tasty recipe. I’m always looking for recipes with chicken. Thanks for sharing! Looks good. We are a cheese loving family. I like how you use simple ingredients….things we have on hand. Thanks. This recipe looks very easy.It also looks delicious. To make it more filling and a bit more nutritious, I’d add some chopped cooked veggies like onion, celery, broccoli, etc. I always keep crescent rolls in the refrigerator for quick dinners like this. Thanks for the recipe! I am a huge fan of cheese… so this looks mouth watering good. Crescent rolls are so good for making things. This dish will go over really big in my house. My two little sisters are cheese fanatics. I love having crescent rolls every chance I get. I like the pairing up with the green beans as a side. I love any recipe that involves crescent rolls, one of them I do is a dessert one. This looks like a fabulous dinner. I love chicken pie and this looks like a good one! I love cherry cheesecake the most of all cheesecakes. I’m not sure I have a favorite cheesecake flavor because I love them all! But I do especially like a plain cheesecake with fancy toppings. My favorite cheesecake flavor is plain New York cheesecake. Thanks for sharing! I love plain cheesecake as long as it has a great cream cheese flavor. My favorite Cheesecake flavor is Key lime cheesecake. 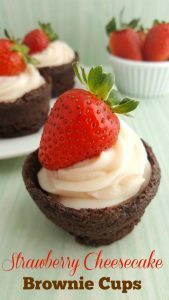 My favorite Cheesecake flavor is Chocolate Cheese topped with Strawberries dipped with White Chocolate. I like my cheesecake plain and I make a killer homemade one or I like Sara Lee’s French cheesecake which is very light. I love berry swirled cheesecake, coffee cheesecake, and chocolate cheesecake. Sorry I could not just pick one flavor. My favorite cheesecake flavor is definitely cherry. This looks like a great weekday meal. I love strawberry cheesecake. This looks so good! 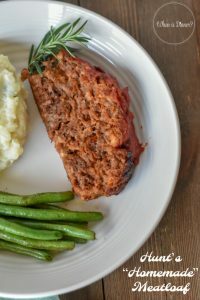 A great easy after work recipe that my family would love! Also, lol, not sure what this post has to do with cheesecake, but my favorite cheesecake is Oreo! My favorite cheesecake is turtle. I like plain NY cheesecake. This looks really easy to make and pretty tasty too. My fiance makes something like this already, but doesn’t use buttermilk. We will have to try it out. My favorite cheesecake is the plain old homestyle cheesecake. My favorite cheesecake flavor is pumpkin. this reminds me of a dish we used to have at school called chicken squares, that we still talk about, only this sounds even better with cheese! Made these tonight; family loved them. I added red pepper and shallots that I sauteed in a little butter. Easy and delicious. My family loves how filling and comforting cream soup baked over chicken is. I hadn’t thought about topping it with crescent rolls, but it sounds wonderful. You could even add some peas and carrots to make it like a chicken pot pie casserole. This looks simple and quick to put together once you cook the chicken. Thanks! This looks great! Going to try it this weekend, thanks! 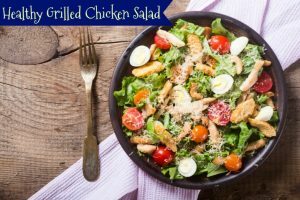 Sorry, I am taken 🙂 However, this one is very easy to make, especially if you used a rotisserie chicken! It would have just enough left overs for lunch the next day too! Mmmm. Chicken, cheese and pastry…. 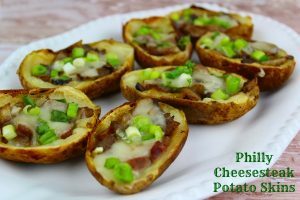 Ive never seen this recipe before but my goodness it looks amazing! I def want to try it bc Iove chicken dishes like this and its super simple! This looks and sounds delicious! 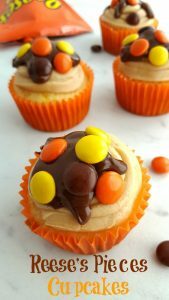 I pinned the recipe, I’ll be making this for sure! My son would definitely go for this! Yum! I am so making this soon! We’ve been on a crescent roll binge lately, lol…always searching for more recipes to use them. Will be trying this one, thanks! I love to make Garlic Lemon Broccoli. Just cook some broccoli and then add lemon and garlic. My favourite chicken recipe is crockpot boneless buffalo strips! This looks good but my favorite is for home-made coffee cake. My fav recipe is my homemade lasagna!!! My favorite recipe is a pizza dough recipe that I adapted. Sounds good! I like to mix white rice and black beans with some taco seasoning. Then put the rice mixture, lettuce, cheese, and guacamole in a tortilla. delish! I could eat this for an entire month and not get tired of it. Wow, this looks yummy! I actually don’t make anything all that fancy and follow my mothers recipes. Honey BBQ Chicken with homemade honey bbq sauce! 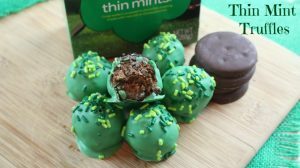 I tried making these but I found the directions hard to follow. For example your picture looked like you had about 8 pieces but mine only came out to four. I didn’t quite understand how you divided the cresent rolls. I don’t have a favorite recipe, but I do LOVE making things all on my own. No recipe at all! my favorite recipe is easy; take chicken, cover it in salsa, sprinkle it with crushed tortilla chips, and then cheese. Bake. Tada! Thanks for including a print button ion this. Many times, bloggers have not and it makes it much more difficult to get the recipe. This looks SO great! We WILL give it a try…thanks! My favorite recipe is Toll House Chocolate Chip Cookies. Yum! These look fantastic! And easy to make! Thanks for sharing the recipe! These look awesome! I bought a bunch of frozen boneless chicken and was looking for something different to make with it, this is it! Thanks for the recipe! WHOA>>>> these look amazing!!! 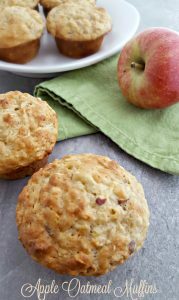 Looks like a great fall recipe! This looks too easy! I have to make it now, thanks! Oh my heck! This sounds delicious! I bookmarked it and can’t wait to make it. Thanks! Looks great, I only wish your pics were bigger! Tried this tonight, it was DELICIOUS. Thanks for sharing!